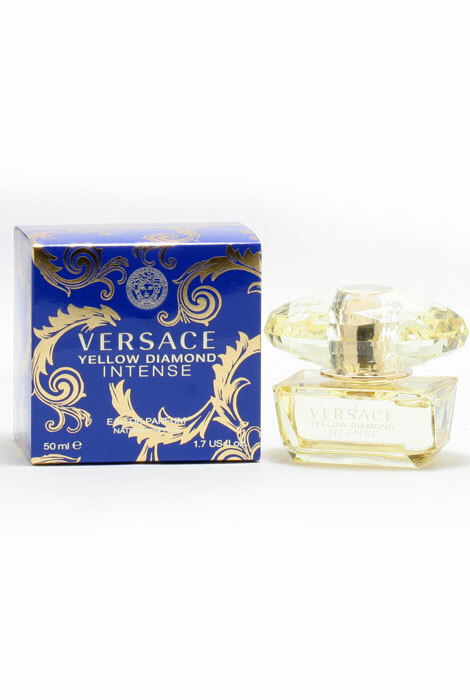 Versace Yellow Diamond Intense takes the gorgeous Yellow Diamond scent and turns up the heat with luscious fruity and floral notes. The women's perfume opens with fruity pear, lemon and bergamot. A floral middle of mimose, water lily and freesia finish the women's fragrance in a seductive base of amber, musk and wood. 1.7 fl. oz. An EDP spray. No express shipping. No shipping to PO boxes. I love this perfume it smells awesome! I love it.